The Stone Lake 7ATC sleeps seven in a four-room design with three Premier bedrooms, side doors and ample ventilation. Its pre-shaped air tubes ensure stability and headroom with steeper sides maximising internal space. 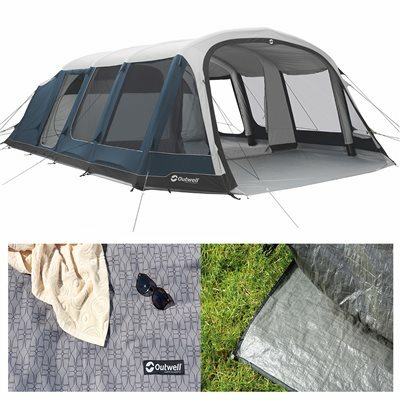 Its large front can be opened fully with a detachable tub groundsheet in the front zone plus a mesh door for access to the central zone.